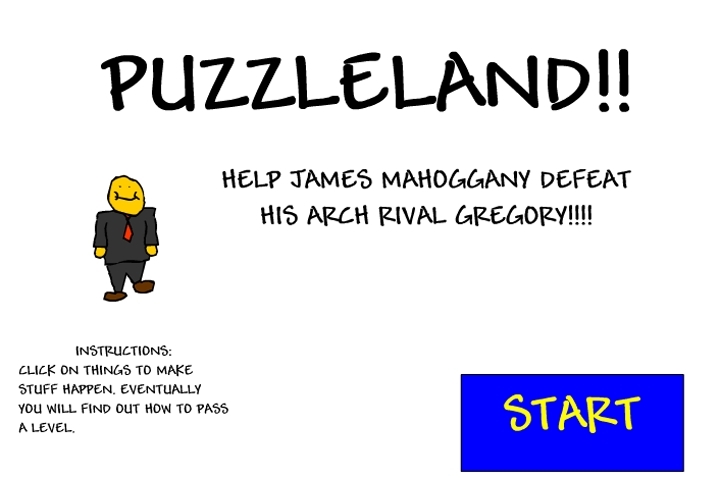 A really funny interactive adventure game similar to Hapland - Help James Mahoggany defeat his arch rival Gregory! Click on things to make stuff happen. Eventually you will find out how to pass a level. If you want to play Puzzle land games online you have come to the right place! GamesLoon adds new Puzzle land games every week. This is your game portal where you can find the biggest collection of free Puzzle land games online. Do not forget to rate our Puzzle land free online games while playing!